"Dark age Europe meets Tolkien's Middle Earth in a safe and action-packed national live action battle game." Most garb worn in the Dagorhir falls into the 'medieval' or Dark Ages time period. Robes (wizard and open robes) are also popular. 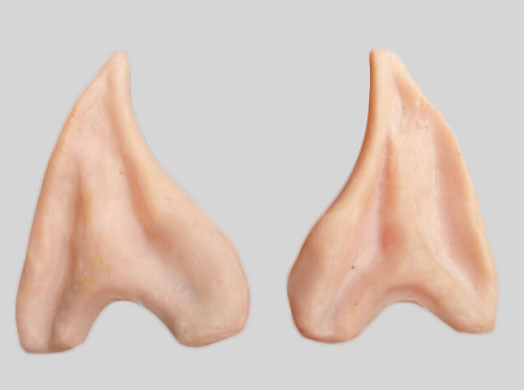 We sell Elf ears. Dagorhir costume regulations are fairly simple, there are no character classes. The flavor of garb that a person wears is typically demonstrative of their persona, location, or interests. They could carry a Dagorhir sword or Dagorhir weapon. Membership includes people with both historical and Tolkien leanings. Within the historical arena, there is everything ranging from Vikings to Romans to Celts and more. The ONLY event Garb the World regulaly merchants at is a Dagohir/Amtgard event Battle for the Ring in Chino, California during January. We sell a lot of items at incredible bargains. If you go to the event please stop by our booth and say hi to Julles or Sonya (our fighter names). And contact us if you would like us to bring anything particular to the event. 1.3.1. A tunic of crotch length or longer. This requirement may be waived only if the rest of the costume (pants, boots, etc.) is of exceptional quality and appearance. 1.3.2. 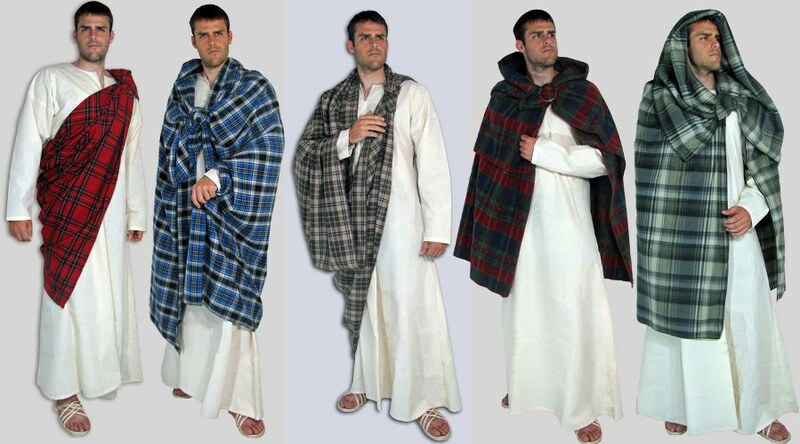 Medieval-style (baggy) pants, kilt, skirt, etc. 1.3.3. Medieval-style footwear (moccasins, boots that are not blatantly non-medieval in style, earth-tone shoes with leggings, etc.). 1.4. Forbidden Garments: Include blue jeans, white shoes, camouflage patterns such as military fatigues, exposed T-shirts, modern hats, real swords or knives (even in sheaths or cases, worn or carried) during combat or fighting. Check out our How To pages to learn how to tie a ring belt, fold a kilt, use medieval broaches, and more. Got a good link for this page? Send us suggestions.